We’ve teamed-up with talented jewellery designer Martina at Isla Clay for our latest style competition! 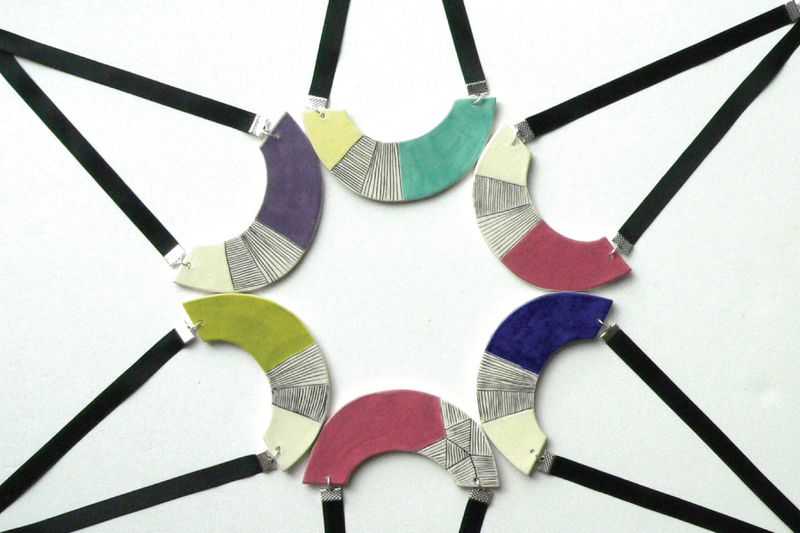 Her ceramic jewellery is totally unique and will finish off any outfit. We’re big fans of statement accessories at Style Doctors and you can win one of her amazing statement necklaces by entering below. 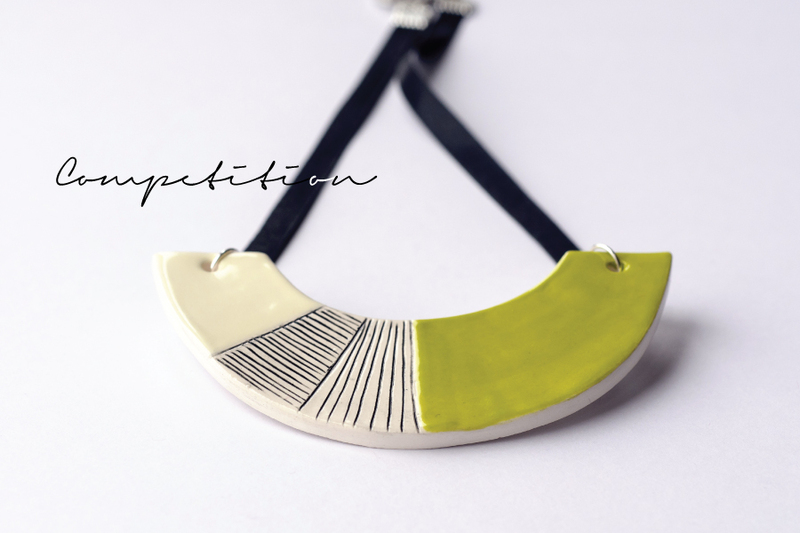 A beautiful ceramic statement necklace with carved geometric pattern in lime green. Made of earthenware clay and fired twice around 1000°C. The geometric pattern was carved while leather-hard and inlaid with black underglaze. The necklace is coated with non-toxic glazes. The black satin ribbon end with a silver plated toggle clasp. The necklace is light and comfortable to wear. The back where the necklace was touching the kiln was left unglazed. Ribbon length including the clasp: 35cm, width 7mm. The ceramic piece is app. 9.5cm long, 5cm high and 4mm thick. Visit the Style Doctors website and enter here.